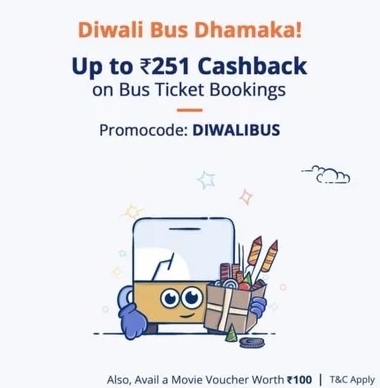 Paytm Diwali Bus Dhamaka: Get Rs 151 Cashback + Movie Voucher, Do you want to book Bus tickets for your vacation? 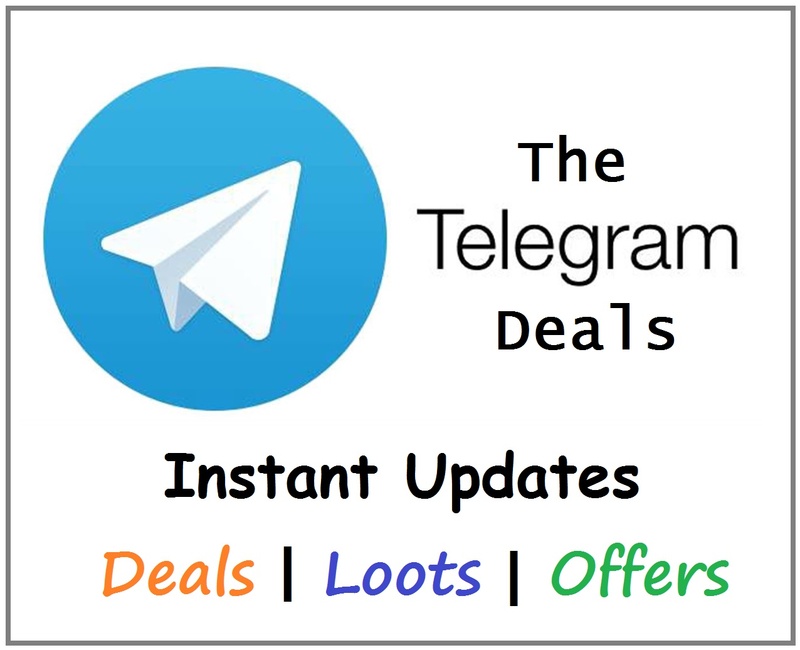 If yes then you are landed on the right place, In today’s offer i am going to tell you how to get discount using Paytm vouchers and Promocodes. Right now, Paytm is offering flat Rs 151 Cashback on Minimum Bus ticket Booking of 300. This offer is valid for a limited time period. So friends follow below given steps. How to Get Rs 151 Cashback on Min Bus Booking of 300? Now login or create a new account on paytm. Now Goto Bus booking section. Then enter origin and destination details. Pay amount through any payment method. You will get Rs 151 cashback in your paytm wallet with in 48 hours. After 6 hours of bus ticket booking initiate a movie ticket booking to Avail Voucher of Rs 100.